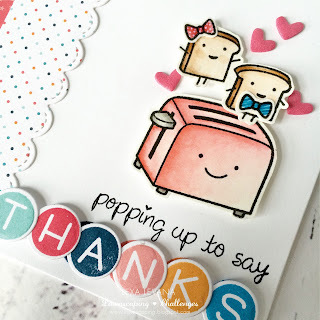 Lexa here today, I'm going to share the card I made using some Lawn Fawn oldies called Love n' Breakfast and mix it with Owen's ABC which is newer. 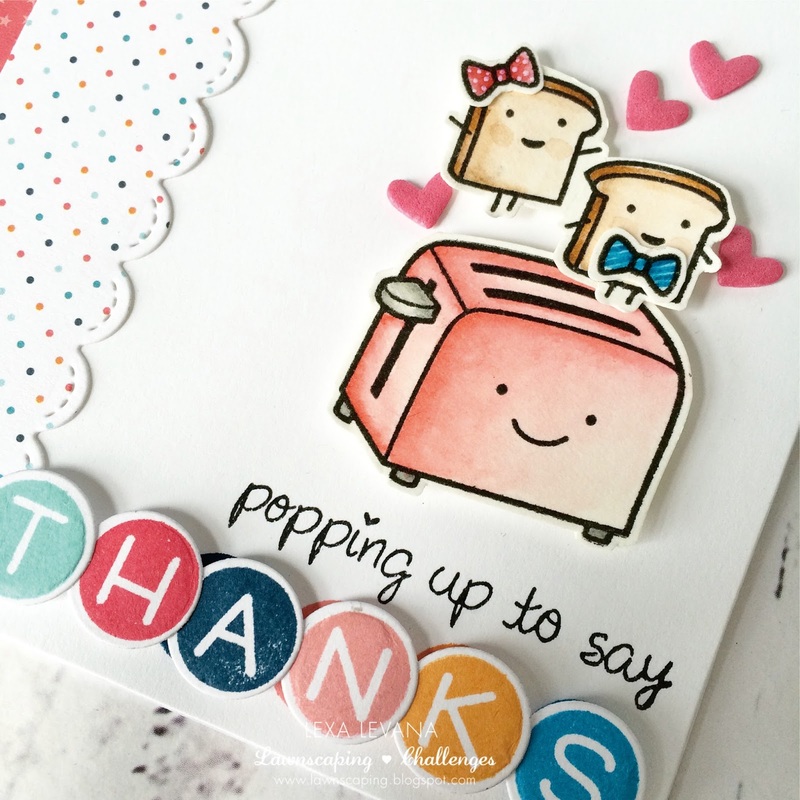 I really love this old stamp set from Lawn Fawn, the popping toasts are really cute, it's been a while since the last time I used it. While I made this card I just realized that Lawn Fawn's dye inks colors match their petite paper pads. For this card I match the "thanks" sentiment with the polkadot from Beachside pinted paper pad, Mermaid, Lobster, Deep Sea, Wild Rose, Fake Tan, Fish Tank. And I'm so happy to find out that! I love to keep the white background to pop out the sentiment which is already colorful. I dies out the tiny hearts using pink foam sheet for some dimension. I hope you enjoy today's card and thinking to clean up your stash while try to use some Lawn Fawn oldies stamp sets, I believe they are not less cute than new ones. Heehee.